The "Blood in the Water" match (Hungarian : melbourne-i vérfürdő lit. Blood bath of Melbourne; Russian : Кровь в бассейне, translit. Krov' v basseyne, lit. 'Blood in the swimming pool') was a water polo match between Hungary and the USSR at the 1956 Melbourne Olympics. The match took place on 6 December 1956 against the background of the 1956 Hungarian Revolution, and saw Hungary defeat the USSR 4–0. The name was coined after Hungarian player Ervin Zádor emerged during the last two minutes with blood pouring from above his eye after being punched by Soviet player Valentin Prokopov. Hungarian is a Finno-Ugric language spoken in Hungary and several neighbouring countries. It is the official language of Hungary and one of the 24 official languages of the European Union. Outside Hungary it is also spoken by communities of Hungarians in the countries that today make up Slovakia, western Ukraine (Subcarpathia), central and western Romania (Transylvania), northern Serbia (Vojvodina), northern Croatia, and northern Slovenia. It is also spoken by Hungarian diaspora communities worldwide, especially in North America and in Israel. Like Finnish and Estonian, Hungarian belongs to the Uralic language family. With 13 million speakers, it is its largest member in terms of speakers. Then, on 23 October 1956, a demonstration by students of the Budapest University of Technology and Economics escalated into an uprising against the government in Budapest. On 1 November, Soviet tanks began rolling into Hungary and from 4 to 10 November forces began suppressing the uprising with air strikes, artillery bombardments, and tank-infantry actions. The Budapest University of Technology and Economics, official abbreviation BME, is the most significant University of Technology in Hungary and is considered the world's oldest Institute of Technology which has university rank and structure. It was the first institute in Europe to train engineers at university level. It was founded in 1782. At the time, the Hungarian water polo team was in a mountain training camp above Budapest. They were able to hear the gunfire and see smoke rising. 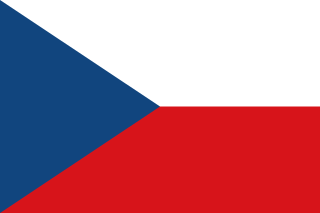 The players were the defending Olympic champions; with the Summer Olympics in Melbourne two months away, they were moved into Czechoslovakia to avoid being caught in the revolution. The players only learned of the true extent of the uprising and the subsequent crackdown after arriving in Australia and they were all anxious for news of friends and family. By the start of the Olympics, the uprising had been suppressed and many players saw the Olympics as a way to salvage pride for their country. "We felt we were playing not just for ourselves but for our whole country", said Zádor after the match. The match was played in front of a partisan crowd bolstered with expatriate Hungarians (many of whom had been in the boxing arena before to see the Hungarian László Papp  ) as well as Australians and Americans, two of the Soviet Union's Cold War opponents. László Papp was a Hungarian professional boxer from Budapest. A southpaw, he won gold medals in the 1948 Summer Olympics in London, the 1952 Summer Olympics in Helsinki, and the 1956 Summer Olympics held in Melbourne, Australia. In his final Olympic competition, he beat José Torres later the professional light-heavyweight world champion, for the gold medal, to become the first boxer in Olympic history to win three successive gold medals. It was a remarkable run of Olympic Boxing supremacy, in that of his 13 Olympic fights, he won 12 of them without losing a round, and dropped only a single round in his last final - to Torres. There would not be another triple gold medalist for 20 years, when Teófilo Stevenson won three, followed by Félix Savón as the latest one of the three men to accomplish the feat. The Cold War was a period of geopolitical tension between the Soviet Union with its satellite states, and the United States with its allies after World War II. A common historiography of the conflict begins with 1946, the year U.S. diplomat George F. Kennan's "Long Telegram" from Moscow cemented a U.S. foreign policy of containment of Soviet expansionism threatening strategically vital regions, and ending between the Revolutions of 1989 and the 1991 collapse of the USSR, which ended communism in Eastern Europe. The term "cold" is used because there was no large-scale fighting directly between the two sides, but they each supported major regional conflicts known as proxy wars. From the beginning, kicks and punches were exchanged. At one point, a punch thrown by Hungarian captain Dezső Gyarmati was caught on film. Meanwhile, Zádor scored two goals to the crowd's cheers of Hajrá Magyarok! ("Go Hungarians!"). With one minute remaining in the match, Hungary was leading 4–0. Zádor was marking Valentin Prokopov, with whom he had already exchanged words, and a whistle was blown. In the intermission, Prokopov struck him, causing a bleeding gash. Zádor left the pool; his bleeding was the final straw for a crowd already in frenzy. Many angry spectators jumped onto the concourse beside the water, shook their fists, shouted abuse and spat at the Russians. To avoid a riot, police entered the arena and shepherded the crowd away. In 2006, for the 50th anniversary of the attempted Hungarian Revolution, the documentary Freedom's Fury , produced by Kristine Lacey and Thor Halvorssen, told the story of the match. Quentin Tarantino described it as "the best untold story ever". The documentary was narrated by the Olympic swimmer Mark Spitz, who, as a teenager had been coached by Ervin Zádor. The Hungarian Revolution of 1956, or the Hungarian Uprising, was a nationwide revolution against the Hungarian People's Republic and its Soviet-imposed policies, lasting from 23 October until 10 November 1956. Leaderless when it first began, it was the first major threat to Soviet control since the Red Army drove Nazi Germany from its territory at the end of World War II. Ten nations competed in water polo at the 1956 Summer Olympics in Melbourne. Ervin Zádor was a Hungarian water polo player and member of the Hungarian national team. The history of water polo as a team sport began in mid 19th-century England and Scotland, where water sports were a feature of county fairs and festivals. Hungary competed at the 1956 Summer Olympics in Melbourne, Australia and Stockholm, Sweden. 108 competitors, 88 men and 20 women, took part in 80 events in 12 sports. Although the Hungarian Revolution of 1956 failed in its efforts to oust the ruling Communist government of Hungary, the uprising provided inspiration for many artists, writers, poets, composers and filmmakers. Listed below are some significant events in the Hungarian Revolution of 1956, which began on October 23, 1956 and was brutally crushed by Soviet forces in November. Yakov Anufrievich Rylsky was a Jewish Olympic champion and three-time world champion sabre fencer of the Soviet Union. He competed in three Olympiads, and won two medals for the Soviet Union's fencing team. Dezső Gyarmati was a Hungarian water polo player and three times Olympic champion; he later became the coach of the Hungarian national water polo team. Widely regarded as a "legendary player", Gyarmati was the most decorated player in the history of the sport. Antal Bolvári was a Hungarian water polo player who competed in the 1952 Summer Olympics and in the 1956 Summer Olympics. Miklós (Nick) Martin is a Hungarian water polo player who competed in the 1952 and 1956 Summer Olympics. He was born in Budapest. Valentin Prokopov is a Russian water polo player who competed for the Soviet Union in the 1952 Summer Olympics and in the 1956 Summer Olympics. He became notorious for striking Hungarian player Ervin Zádor in the Blood in the Water match. Vyacheslav Grigorevich Kurennoy was a Russian water polo player who competed for the Soviet Union in the 1956 Summer Olympics and in the 1960 Summer Olympics. Children of Glory, is a 2006 film directed by Krisztina Goda. Children of Glory commemorates Hungary's Revolution of 1956 and the "Blood in the Water" match. Taking place in Budapest and at the Melbourne Olympic Games in October and November of that year, the film takes viewers into the passion and sadness of one of the most dramatic popular revolts of the twentieth century. In the same year Soviet tanks were violently suppressing the Revolution within Hungary, the Hungarian water polo team was winning over Russia in the Olympic pool in Melbourne, in what is sometimes described as the bloodiest water polo match in history. While telling the story of 1956 in part through fictional lead characters, the film-makers simultaneously recreated many of the key public events of the Revolution, including the huge demonstrations and the fighting in the streets of Budapest. Gemma Jane Beadsworth is an Australian water polo centre forward. She has had scholarships for water polo from the Australian Institute of Sport and the Western Australian Institute of Sport. She plays for the Fremantle Marlins in the National Water Polo League. She has represented Australia on a junior and national level. She won bronze medals at the 2008 and 2012 Summer Olympics, and was chosen as a member of the 2012 Summer Olympics Australia women's national water polo training team. She has also won a silver medal at the 2007 World Championship, a gold medal at the 2006 World Cup and a silver medal at the 2010 World Cup. Colin Keith Gray is a Canadian actor, writer and film director. He played Frank Hardy on the TV show The Hardy Boys for thirteen episodes. He is known for directing the documentary film Freedom's Fury. 1 2 Simon Burnton (28 December 2011). "50 stunning Olympic moments No7: Hungary v Soviet Union: blood in the water". The Guardian. ↑ Ron Fimrite (28 July 1996). "A bloody war that spilled into the pool". Sports Illustrated. Retrieved 24 March 2007. ↑ Abrams, Roger I. (2013). Playing Tough: The World of Sports and Politics. UPNE. p. 6. ISBN 9781555537531. ↑ Dunai, Marton (12 March 2012). "FEATURE-Olympics-Water polo's Gyarmati recalls last London Games". Reuters. Retrieved 4 December 2018. ↑ "Blood in the water: Hungary's 1956 water polo gold". BBC News. 20 Aug 2011. Retrieved 20 Aug 2011. 1 2 Mike Rowbottom (2 December 2006). "Ervin Zador: Blood in the water (interview)". The Independent. Retrieved 24 March 2007. ↑ "Cold War violence erupts at Melbourne Olympics". Sydney Morning Herald. 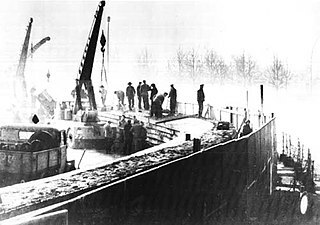 7 December 1956. Retrieved 24 March 2007. ↑ Olympic Games Peace Shattered: Fists Fly in Pool Fracas, The Argus, (Friday, 7 December 1956), pp.1, 3. ↑ Hungarian Injured in Polo, The Age, (Friday, 7 December 1956), p.1. ↑ Player Punched in Rough Water Polo, The Age, (Friday, 7 December 1956), p.1. ↑ That evening, a similar anti-Russian protest occurred during a fencing match between Hungarian Pál Kovács and Russian Lev Kuznetsov at the St Kilda Town Hall: Mr. Brundage hears crowd hoot Russian, The Argus, (Friday, 7 December 1956), p.14; Tireless Hungarian Takes Sabre Title: Appeal to Crowd, The Age, Friday, 7 December 1956), p.12. 1 2 3 4 5 6 7 8 9 Retrieved 24 October 2017. ↑ Knight, Matthew (2 March 2012). "'Blood in the water' - Hungary's sporting battle against Soviet oppression". CNN . Retrieved 4 December 2018. ↑ Reid, Kirsty (20 August 2011). "Blood in the water at the 1956 Olympics". BBC News. Retrieved 4 December 2018. ↑ Nine Hungarians Miss First Plane for Home, The Canberra Times, (Saturday, 8 December 1956), p.3. ↑ Hungarians Stay Behind, The Age, (Monday, 10 December 1956), p.1. ↑ 46 Hungarians Refuse to go Home, and . . . Security Men Guard "Village", The Argus, (Monday, 10 December 1956), p.3. ↑ Security Guard for Hungarian Athletes, The Canberra Times, (Tuesday, 11 December 1956), p.3. ↑ Krastev, Nikola (5 May 2006). "Hungary: New Film Revisits 1956 Water-Polo Showdown". Radio Free Europe/Radio Liberty. Retrieved 4 December 2018. ↑ "Freedom's Fury". Pacific Cinémathèque. Archived from the original on 20 February 2009. Retrieved 4 December 2018. ↑ Lemercier, Fabien (3 November 2006). "Children of Glory gets off to sensational start". Cineuropa. Retrieved 4 December 2018. ↑ "Guest List for the "Children of Glory" Screening and Dinner". The White House. 30 October 2006. Retrieved 4 December 2018. ↑ "Monday, July 30". Sydney Morning Herald. 25 July 2012. Retrieved 4 December 2018. Report of the match at Stoneridge water polo website.